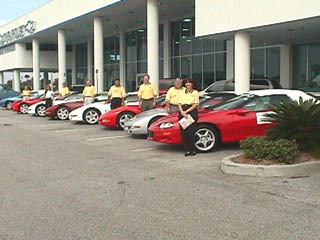 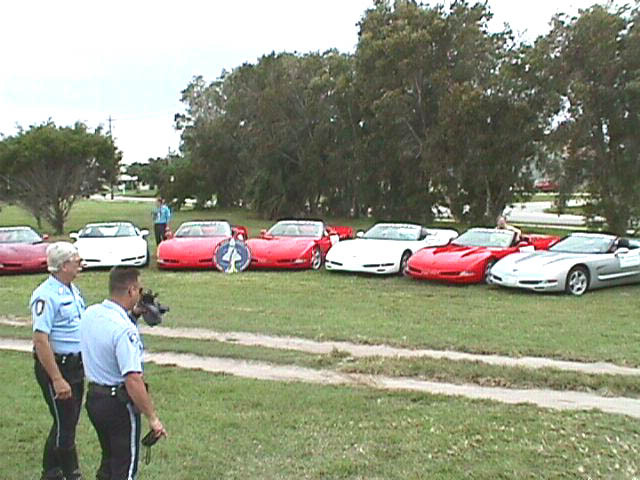 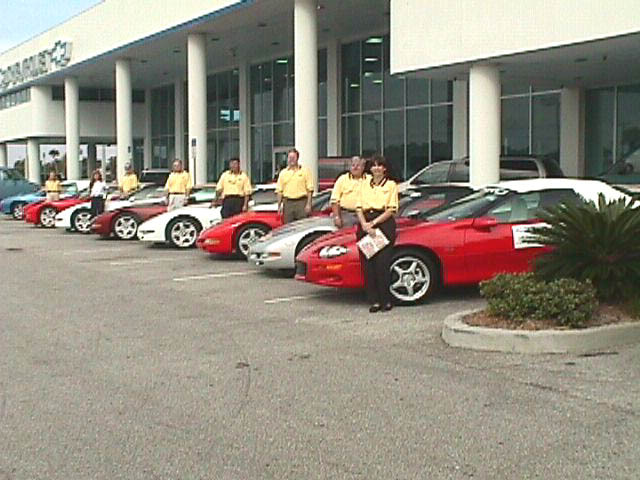 The Friendship 7 C5s grouped at the staging area with a copy of the STS 95 patch. 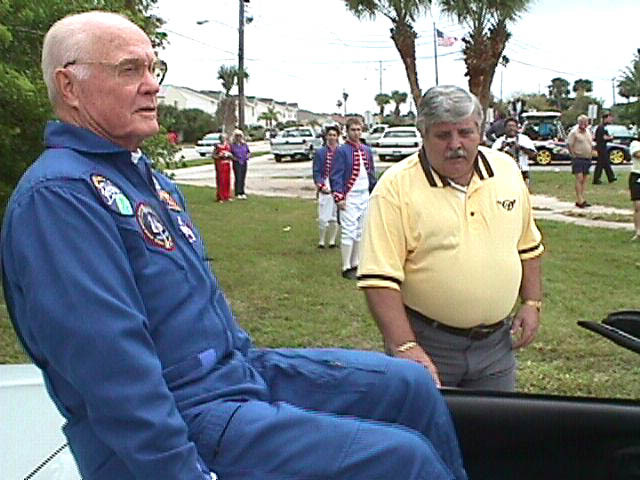 John Glenn testing out his flight seat on his C5 for the Cocoa Beach Space Coast Parade. 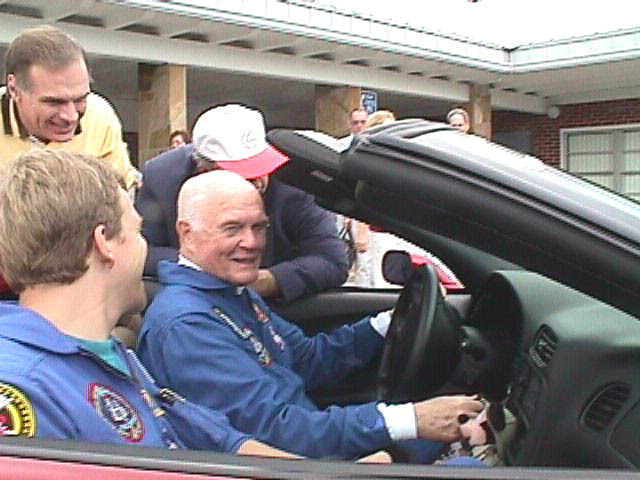 John Glenn showing fellow astronaut Scott Parazynski the details of the C5 cockpit including the Head Up Display. 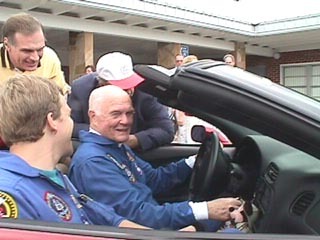 Want to learn more about the Mission that made John Glenn the first American to witness the sunset from above 100 miles. 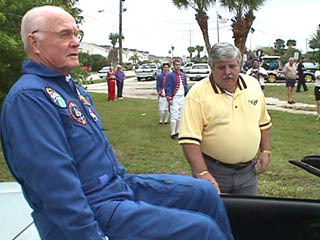 Click On the Mercury 6 Logo.